Review Round-Up! 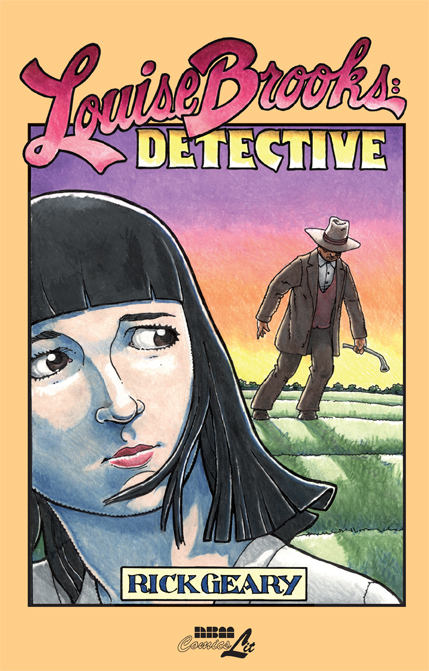 LOUISE BROOKS: DETECTIVE! GHETTO BROTHER! 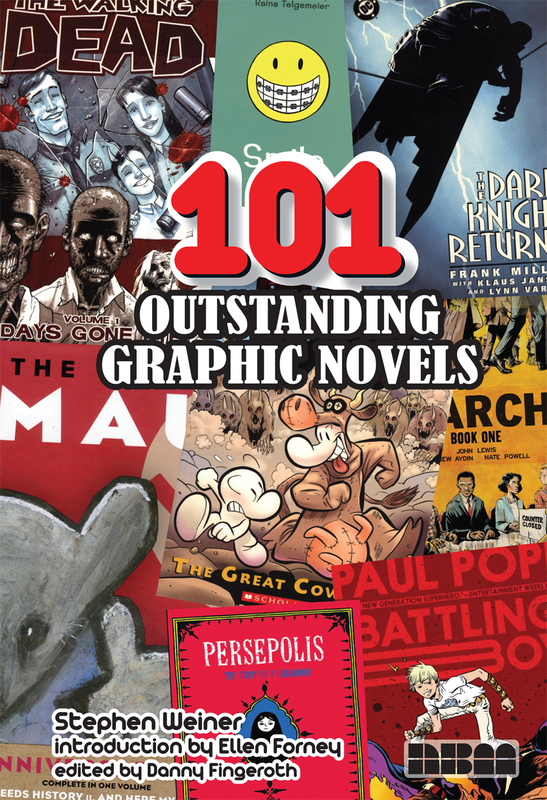 101 OUTSTANDING GRAPHIC NOVELS! Be sure to check out a fantastic interview with Rick conducted at the Huffington Post where he discusses Louise Brooks and his work. Author Stefan BlitzPosted on August 11, 2015 Categories BlogTags 101 Outstanding Graphic Novels, Claudia Ahlering, Ghetto Brother, Julian Voloj, Louise Brooks, Review Round-Up, Rick Geary, Steve WeinerLeave a comment on Review Round-Up! LOUISE BROOKS: DETECTIVE! GHETTO BROTHER! 101 OUTSTANDING GRAPHIC NOVELS! Review Round-Up! 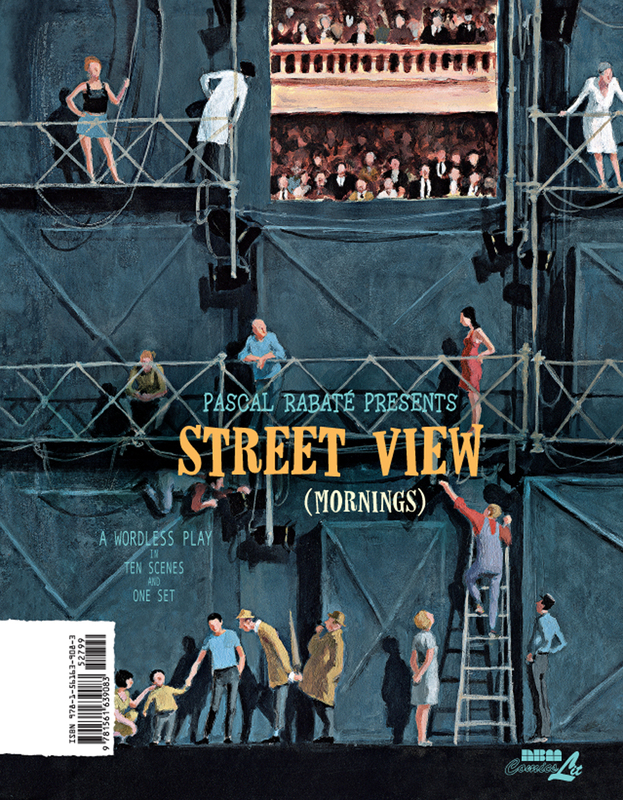 STREET VIEW, DUNGEON, 101 OUTSTANDING GRAPHIC NOVELS & More! 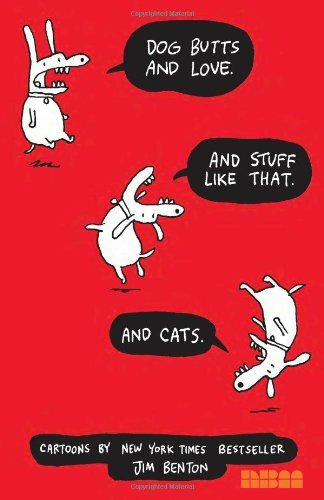 Author Stefan BlitzPosted on July 8, 2015 Categories Blog, ReviewsTags 101 Outstanding Graphic Novels, Dog Butts and Love. And Stuff Like That. 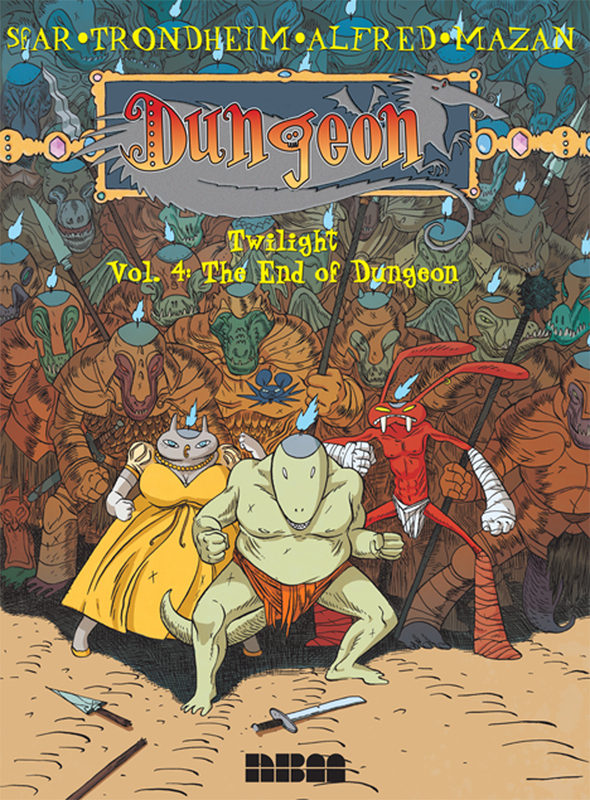 And Cats., Dungeon Twilight, Eisner Nominations, Jim Benton, Joann Sfar, Lewis Trondheim, Pascal Rabate, Review Round-Up, Steve Weiner, Street ViewLeave a comment on Review Round-Up! STREET VIEW, DUNGEON, 101 OUTSTANDING GRAPHIC NOVELS & More! As the graphic novel form took off in the 1990s, one of the first places it landed was public libraries. The respectability of MAUS as well as the initial buzz generated by the publicity generated by DARK KNIGHT & WATCHMEN raised the visibility of the comics medium. Lots of people in the library were more curious than biased against comics, so they started small graphic novel collections, steeled themselves, & waited for the complaints. Complaints did occasionally come their way, but mostly librarians saw that they’d stumbled onto something. Patrons, particularly boys, loved comics. These books were read, borrowed, & stolen. The word was out—libraries were not dead places, they were even a bit hip. Even better, books were coming out like UNDERSTANDING COMICS, STRANGERS IN PARADISE, & ELFQUEST, more in line with library collection policies. As librarians learned how to best collect comics they had to read them, making them become fans or at least educated skeptics. There were barriers aside from content that made collecting graphic novels difficult. Vendors who sold to libraries didn’t carry them, &, for the most part, they weren’t reviewed (librarians generally bought books after they were reviewed) so librarians began holding conferences about graphic novels in an effort to educate each other & work out problems collecting comics. Throughout the 90s these issues were thoroughly examined, but the real breakthrough occurred when publishers saw the benefits of libraries collecting graphic novels. Initially, the big publishers saw libraries as competition, that one library sale negated multiple individual sales. However, over time the publishers saw public library collections as a way to promote the changing comics field, & a partnership was formed between the comics industry public libraries. Interestingly enough, throughout most of the 1990s, the two most popular graphic novels in public libraries were MAUS & UNDERSTANDING COMICS. For more information about the history of the graphic novel, read my book, Faster than a Speeding Bullet: the Rise of the Graphic Novel, available now. The first graphic novel to explode out of the comic book marketplace & into bookstores was Elfquest by Wendy & Richard Pini. In many ways it was the model for some of the break out graphic novels we’ve seen over the last several years. Elfquest was self published under the Pini’s own WaRP Graphics company & supported by the network of comic book stores. Elfquest was an outgrowth of the underground Comics, but with a wider appeal, & it signaled the beginning of the Alternative Comics movement. Alternative Comics told stories with commercial appeal that weren’t published by the major comic book companies. Elfquest told an adventure story but it wasn’t a superhero story. The heroes were elves & the overarching story was a melding of fantasy tropes, fairy tales, & Native American lore. The black & white serial began in 1978, and was quickly collected into graphic novel form, making it into bookstores in 1981. Elfquest’s trajectory exemplified Will Eisner’s hope for the graphic novel form. Eisner saw the graphic novel as a mature work appealing to readers who had grown tired of superhero stories, but could still be interested in stories told in cartoon format. Elfquest went through many publishing incarnations. Originally published by the Pini’s own WaRP Graphics line, it was next reprinted in color by Marvel Comics’s Epic line in the mid 1980s, then again by DC Comics in the in the early part of this century, both in a collector’s archive edition & as a manga-sized series of books. Although it’s been around since 1978, Elfquest never gets old. For more information on the graphic novel, read my book, Faster than a Speeding Bullet: the Rise of the Graphic Novel, available later this month. Pioneering cartoonists creating the first graphic novels followed a bumpy road. Although the concept was out there in the late 1970s & early 1980s, the acceptance of the new longer format was mixed. Many early graphic novels were big news at the time but are now virtually forgotten. One of the early experiments was Camelot 3000 by Mike W. Barr & Brian Bolland. Camelot 3000 was a story of Arthur, Merlin and the Knights of the Round Table warding off Morgan le Fey in 3000 AD. It stayed true to the Arthurian legends while taking some liberties. Writer Mike Barr was a well respected chronicler of the DC Universe & Brian Bolland was an exciting British import. The series ran as a twelve issue mini-series from 1982-1985, just prior to Watchmen and Dark Knight, although it has only been in print in a collected edition sporadically and certainly hasn’t received the acclaim of those books that followed. For more information on the history of the graphic novel, read my book, Faster than a Speeding Bullet: the Rise of the Graphic Novel, available later in October. The 1980s was also a time when Independent publishing flourished. One of the first big hits was Wendy & Richard Pini’s fantasy ElfQuest, which mixed Native American lore with fantasy tropes. Another was Dave Sim’s Cerebus, which began as a parody of Conan the Barbarian but then evolved into an ongoing storyline in its own right. Possibly the independent hit of this period was The Teenage Mutant Ninja Turtles by Kevin Eastman & Peter Laird. Initially a parody of the ninja craze and a tribute to the work of Frank Miller, the Turtles charmed the country, and the black and white book originally financed by a family member became a sensation. In a fairly short time the turtles were everywhere, on school lunch boxes, on clothing, & on stationary. Other cartoonists watched the success of the Turtles & saw possibilities. Soon the comic book market was running over with self published work. Some experienced success, but only the Turtles broke the dam between the comic book readership & the wider world of popular culture. What’s Hollywood got to do with it? Since 2002, comic book related movies have come out on an average of one every 2 months for 10 years. Hollywood has always had some interest in adapting comics for the big screen. In the 1970s, the comics’ field & the movie studios borrowed heavily from each other. Star Wars: A New Hope hit the big screen in 1977, and spawned several comic book spin-offs, the most visible one being the Marvel version which ran from 1977-1986. The reverse also happened, a short-lived live action Spider-Man TV series hit the small screen in the late 70s, but the audience wasn’t really ready for it. The Incredible Hulk, starring Bill Bixby, was more successful, running from 1978-1982. But the strongest Hollywood statement in support of comics in the 1970s was the feature film franchise Superman, starring Christopher Reeves. Beginning in 1978, the Superman franchise ran 4 films, and was witty and sophisticated, a new hope for fans of superheroes. In order to reach mainstream audiences, each Hollywood vehicle had to present these characters in a more mainstream light in order to bring in larger audiences. The trend that continued in the Batman movies of the 1980s and 1990s, turned into infatuation with the movie Spider-Man in 2002. Hollywood gave the comics industry a boost and it raised the visibility of comics, but it did very little to increase the credibility of serious graphic novels, although movie versions of graphic novels such as American Splendor & Ghost World were made. Although movies like these were well received, mainstream audiences weren’t necessarily aware that these movies were originally graphic novels. 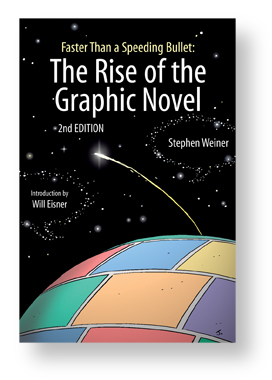 Author Steve WeinerPosted on August 24, 2012 Categories Blog, New ReleasesTags Steve Weiner, The Rise of the Graphic NovelLeave a comment on What’s Hollywood got to do with it?